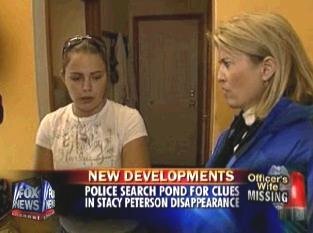 November 1, 2007 Cassandra Cales Interview with Greta Van Susteren "On The Record"
GRETA VAN SUSTEREN: We spoke to Stacy Peterson's sister, Cassandra Cales. Friday Night you saw your sister? GRETA: Were you on the phone Friday night or? GRETA: At the house as well? Friday night. GRETA: And she, and where were you in the house? CASSANDRA: In the house, I was all over the house. CASSANDRA: We were talking and stuff and she asked how I felt about her divorcing Drew and I said well, I'm scared and she said why are you scared and I said because of what happened to his ex-wife, it's just kind of weird, you know, and she just kind of looked at the ground and she whispered in my ear, she said "I'm scared for my life" and that's why I'm telling you this because if I disappear I want you to find me. GRETA: Now Mark you have a question about the timeline. 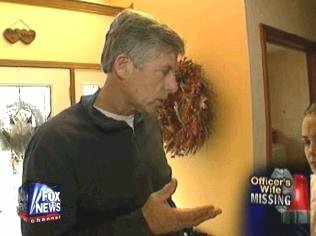 MARK FUHRMAN, FORMER LAPD HOMICIDE DETECTIVE: Cassandra, on Sunday the day most of the things that occur with the Drew. On Sunday at 10:15 she was suppose to go to some family. GRETA: Okay whose your friend. GRETA: Okay. Now did you call her, did she call you? Or was that arranged previously. CASSANDRA: It was arranged between her and Bruce, I didn't even know about it. I guess I was suppose to go over there and paint but I blew Bruce off because I wanted to go to my moms and I was waiting for Stacy to call me Sunday because she said she was going to call me when she woke up. GRETA: Did she do that, did she call you when she woke up? CASSANDRA: No, I guess Bruce talked to her at 10:15 and I was still sleeping and Bruce said that he would call her back when I woke up. GRETA: And that never happened? CASSANDRA: And that never happened. Which I woke up I didn't call Bruce, I went to my moms, went to my own day and was waiting for Stacy to call me and when she didn't call I called her like 1:30 and her phone was off and that's when I started getting suspicious and scared. GRETA: So then what happened? 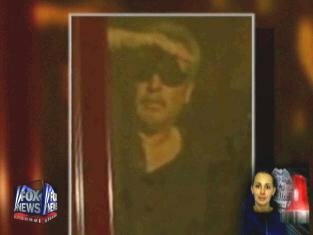 CASSANDRA: I continued to call her cell phone, it kept ringing and then I called the house and that's when Kris answered the phone and said she that went to Grandpas. Well I got off the phone with him and I was wondering okay maybe she went to Grandpas so I call my uncle because my Grandpa's number wouldn't go through, he must have changed his number and he's like yeah I'll call over there and he called over there and nobody got a hold of him because he was sleeping or whatever because he's old, you know he's in an old timer home and Kyle calls me back and said no, why what's going on and I told him what's going on and so he called my aunt in California and she spoke to my Grandpa three times that day, Sunday and no intentions, he said nothing about Stacy coming out. She had no plans on going out and she was never there. GRETA: So what did you do? CASSANDRA: So I started to panic and said okay where are the kids, the little ones, you know, if she went to Grandpas I wanted to know if she had them. So then I went to the Peterson house to ask, to see, I had some fund raiser money for the kids so that was my excuse to go over there. So I show up and knock on the door, no cars are in the driveway. GRETA: What time was that about? GRETA: No cars in the driveway? GRETA: There's a lot of cars out there, could they be in the garage though? CASSANDRA: No they won't fit in the garage, too much stuff in there. GRETA: So the SUV's missing? CASSANDRA: The Denali and Grand Prix were both gone so I knocked on the door, Kris answered the door and I said, he said what are you doing here, and I forgot to give you your fund raiser money and he's laughing and he's like okay and he just thought it was weird so I gave him his fund raiser money and I'm like are you home alone and he said yeah, just me, Tom, Lacy and Anthony. And I said oh, mom didn't bring Lacy and Anthony to Grandpas? and he said something and I'm not going to say it and I don't know. GRETA: Where did you go next? CASSANDRA: I went, well when I talked to Kris... ah Lacy, she didn't bring Lacy and Anthony's with, to Grandpas? And he looked at the ground and said Mom and Dad got into a fight this morning, mom left and Dad's out looking for her. I don't know what to do, my sister's not answering her phone or nothing so then at 11:26 p.m. I called Drew's cell phone and I can hear all these noises and shuffle, keys going into ignition and stuff and he's saying 'Where's your sister?' and I'm like, I'm calling you, where's my sister? 'She left me,' you know, and he's like I've been out running around looking for her all day and I said okay. And he's like I'm out of breath, I've been out running around looking for her. So what.. I said what are you doing? He says 'I'm at home, what are you doing?' Well, I was just at his house a little bit before that and he's wasn't home and I knew he wasn't home because I was sitting in Meijer parking lot. And I'm just freaking out. And he's going on and on saying last week she wanted to leave him, disappear just like my mom did which is bull because she cared about her kids. So then I get off the phone with him because he just telling me a bunch of lies and I didn't believe it so I said I need to get some advice and I didn't want to go to Bolingbrook Police Department because that's where he works so I went to Downer's Grove Police Department, spoke with an officer there and he said you have to go file a missing report and I said don't I have to wait 24 hours and he said no, so I went to Bolingbrook, got there about midnight or whatever and I filed a missing report and when I was leaving there they said what car does your sister have and I said I don't know and they told me to drive by the house and see which car was in the driveway that way they knew what car to look for and I said okay, so 2:30 a.m. I drove by the house and both cars in the driveway. So then my friend Bruce calls Drew and says 'hey she home?' And he goes no. 'Well, her car's in the driveway?' 'Oh she called and told me she left it at the whatamacallit' and he's like what do you mean the whatamacallit? He's like hang on let me get my head straight, she left it at Cushing field, er Clow or whatever the one that is back there. CASSANDRA: Yeah, the airport and said she was leaving him and going on a little vacation so she left it there and he went and picked it up. GRETA: Would she ever do that, go on a vacation and leave the kids?